The Cryan’ Shames hail from the Chicago suburb of Hinsdale, Illinois and consisted of Tom “Toad” Doody (vocals), Gerry “Stonehenge” Stone (guitar), Dave “Grape” Purple (keyboards), Denny Conroy (drums), Jim Fairs (guitar), Jim “J.C. Hooke” Pilster (who was born without a left hand and wore a hook in its place) (tambourine) and Bill Hughes. The group formed in 1966 under the name The Travelers, but soon found out that name was already taken. When trying to decide on a new name, Hooke commented that it was a cryan’ shame that they had to find a new name…hence, their new name. Their first big U.S. hit was a cover of “Sugar And Spice” which was a big British hit by The Searchers in 1963. The song was written by Tony Hatch under the pseudonym of Fred Nightingale. 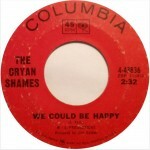 While The Cryan’ Shames’ version was a minor hit, climbing to the #49 position on the national charts, it did top the local Chicago charts on WLS. Such would be the fate of the band as they moved forward. The group started out as primarily a cover band that performed hits of the day by The Beatles, The Rolling Stones and The Byrds, adept at handling harmonies with four vocalists in their ranks. Pilster also gave the band some visual novelty value as he was a one-handed tambourine player. Today’s jukebox classic was the follow up single to “Sugar And Spice” which was not a big hit only climbing to a paltry number 85 on the singles charts. But chart position doesn’t always translate to quality, for if it did, the Jim Fairs original, “I Wanna Meet You” would have topped the charts all over the world. 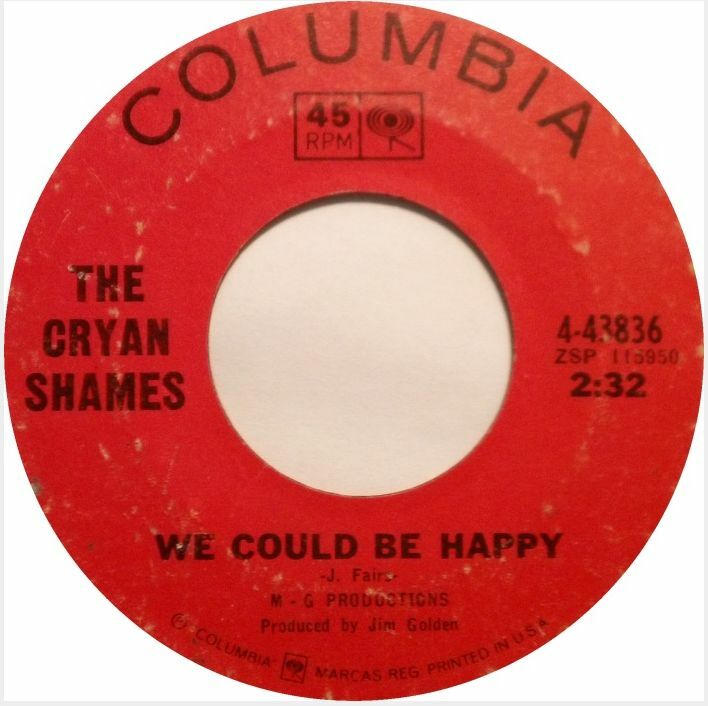 The song makes a case for all that was great about The Cryan’ Shames: tight, heavenly four-part harmonies accompanied by rough and tumble instrumentation, which easily paved the way for the sunshine pop sounds that followed on their second album. The flip of the single was a far more easy listening affair that was also featured on the album. The group continued to release singles throughout the end of the 1960s that charted much better locally than on the national charts. Along the way, the group lost several key members to the draft until they finally broke up at the end of 1969. 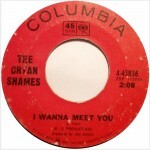 Growing up on the east coast, The Cryan Shames’ was known for its sole top-fifty hit and nothing else. What I’ve picked up in the 15 years I’ve lived in the Chicago suburbs is that the The Cryan Shames was a legendary band that is still loved and revered all these years later. 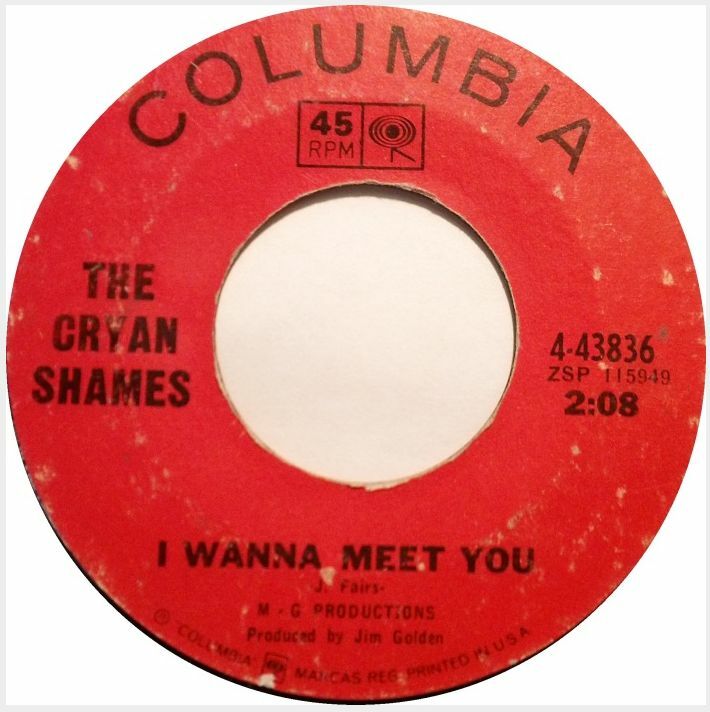 Posted: July 13th, 2015 under Music, Rock, The Cryan Shames.